October 2nd marks the 20th anniversary of National Poetry Day in the UK! 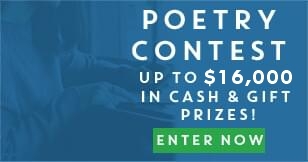 The celebration of the craft of poetry was launched back in 1994 and has since then gotten millions of people to start learning about and writing their own poems. Want to learn more about the history of National Poetry Day and how you can get involved in the fun? Read on to find out! National Poetry Day: What is 2014’s Theme? Each year since 1999, National Poetry Day has been centered on a theme to get people inspired. Themes have ranged from 2001’s “Journeys” to 2009’s “Heroes and Heroines” to last year’s “water, water everywhere.” This year, the theme of the day is “Remember;” poets and amateur enthusiasts are encouraged to share stories of remembrance through verse and to recall the first time they read a poem that truly stuck with them and made a lasting impression. You can get involved easily through social media; follow the Twitter campaign through the hashtag #thinkofapoem to see what pieces poets around the world are thinking of today. Do you remember the first poem you heard that stayed with you? It could have been a childhood classic from Shel Silverstein or Dr. Seuss, a school assignment of the works of Keats or Byron, or a more contemporary classic from Billy Collins, but regardless of what it is, the poem that stays with you does so for a reason. As today is National Poetry Day, what better time than now to remember a poem and use it as a source of inspiration for your own work? You could try writing in the style of your favorite poet, discussing a theme of a piece you love in a new or unexpected way, or even respond to a beloved poem with another type of artwork, such as song lyrics or painting. Whatever path you feel best expresses your love of poetry is the path you should follow today! Maybe you’re intrigued by the theme of the day on its own: remembrance. Write a poem about an event, person, or thing that you remember, reflecting on its importance and influence in your life. If you like what you write, consider submitting it to our poetry contest and show your work to the world! This entry was posted on Thursday, October 2nd, 2014 at 2:15 pm. You can follow any responses to this entry through the RSS 2.0 feed. You can leave a response, or trackback from your own site.